Apple will discontinue LCD displays in favor of brighter OLED screens on its iPhone XR, but not until next year, reports the Wall Street Journal. If true, that’s an indicator that disappointing sales for the IPhone XR, equipped with an LCD display, are one of the root causes of Apple’s problems.. When Apple introduced its new line of smartphones in September, the iPhone XS and iPhone XS got all the attention, in part because they cost $1,000 or more. Both have OLED screens. The iPhone XR does not. It was introduced at the same time and priced at around $750, and marketed as a more affordable Apple smartphone. OLED stands for organic light-emitting diode, which most experts say is better in most ways than LED, which stands for light-emitting diode. OLED displays are more adaptable and OLED visuals have more “pop” to them, though LED pictures are brighter. OLED is more expensive than LED. The more expensive phones have several features the XR doesn’t -- but the one that seems to matter now is that they've been updated from the LED screen. According to the Journal, Apple is not likely to deal with the XR's deficiency until next year, at the earliest. 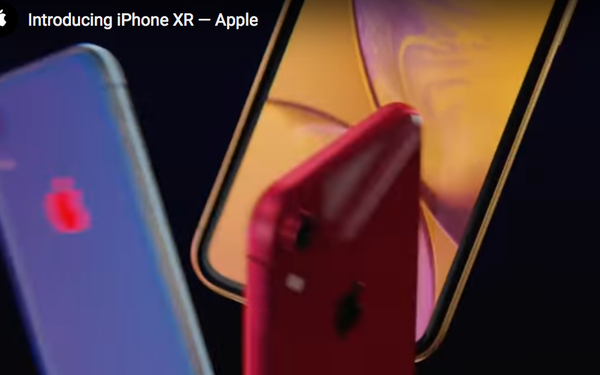 But wireless carriers have offered generous deals on the iPhone XR -- which many reviewers say has plenty of good features, except OLED -- and now Apple itself is offering the phone for $450 when consumers also trade in some older Apple models. Apple is not commenting on the WSJ story, but it recently slashed its earnings estimate for the just-concluded first quarter (which occurs October to December in Apple’s accounting schedule) because of lagging sales. It blamed the lag mostly on slow smartphone sales in China due to the strong dollar and new strong competition from Chinese manufacturers; the introduction of several new products in Apple’s first quarter that had supply problems; and slower-than-anticipated upgrade conversion to the new Apple phones by usually eager customers. In China, Apple lowered the cost of the iPhone XR. Apple’s woes are causing an unfortunate trickle-down effect. Apple’s LCD panel supplier is Japan Display -- and, according to the WSJ story, it’s seeking investor help, looking ahead to losing its best customer. Apple’s rival, Samsung, leads in OLED phones, and other phone makers are ahead of Apple too. Samsung is also the biggest supplier to other brands.